The great Kurdish Girl- Meet Jwan!! I always go on about how many great people there are, and sometimes I try to introduce you to some of them. Today I spent most of my day with someone who is not only an inspiration, a super girl, a role model but one of the greatest Kurdish girls I know. Jwan (JJ or Jooja) is the 24-year-old Kurdish girl who texts a Mulla at the mosque half an hour before his Friday talk to remind him that he needs to talk on a particular issue. And he actually listens to her. She is the type who can be seen in women’s prisons, and shelters as well as villages and courts. When you hear anything to do with violence again women, oppression, poverty or any woman suffering, then you know it is Jwan who you call. I mean who else would you contact? She was brought up in a family of 9 children, and just happens to be the eldest. Gosh does she have a lot of stories to tell. Not just any story, but stories that make you laugh and cry at the same time. The type of stories that you want to hear. Always. All the time. Anyhowwwww… Let me get to the point. With all that life has to bring to a Kurdish girl, who has not been brought up abroad and was born, and educated in an average family going through inflation, oppression and civil war, today Jwan, in my opinion, is a 24-year-old super woman! Who changes not one life, but many lives on a daily bases. Her job? 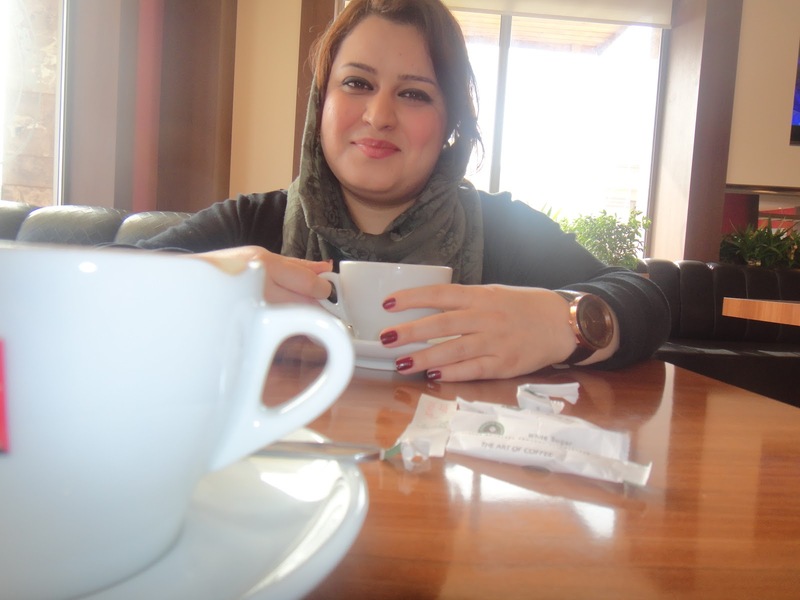 She works at a women’s empowerment NGO in Erbil. Don’t ask what she does. Please. Because there is nothing this girl can’t do or won’t do. What I love about her the most is that she has a purpose in life. She has a love for life. She knows what she wants, she has her priorities set high and more importantly, Jwan lives her life to give meaning and hope to the lives of other people. Above all this, she is always happy, optimistic, energetic, lovable and sweeter than sugar! And a great cook. You would think such a girl with so much talent, energy and great skills would dream of being someone great and well-known. But no. Her simple dream is to own a kebab khana and just continue what she does. But I can tell you one thing, this girl is like a magic wand to any woman in pain in this society, and I am just glad that my path and her path have crossed and I can proudly call her my friend! You can contact Jwan on her Facebook, here. I am trying to get her to start a blog soon, and be sure Jwan will have a book published before the end of this year about her experiences working with vulnerable women. Until next time khwa hafeez! It is a general Erbil(kurdistand) related page we hope you like it or even be a part of it if you have time! Hopefully to see you writing about it one day haha! Hi Sazan, I recently saw a clip of you on an American news channel so thought I'd look up your blog. It is great, brought back a lot of memories for me. I worked in the Kurdish region (various parts of Erbil and Sulimaniyah provinces) between 2006 – 2009. The guys I worked with in southern sulimaniyah had a saying that roughly translates as 'upon my eyes'. I have googled it but can't find the kurdish phrases they used, are you familiar with it? The flat bread and kebabs look as tempting as ever! Keep up the good work!